We're always being told we should eat less meat. And, as we're in the depths of winter, it's all too easy to beef up on meaty stews, slow-cooked roasts and chicken thighs with crispy skin when it's freezing and frosty outside. But what about the veggies? Do you know of a vegetarian dish that makes you feel cosy, reminds you of someone dear to you, or just one of those recipes you rely on when the rain's battering on the windows? 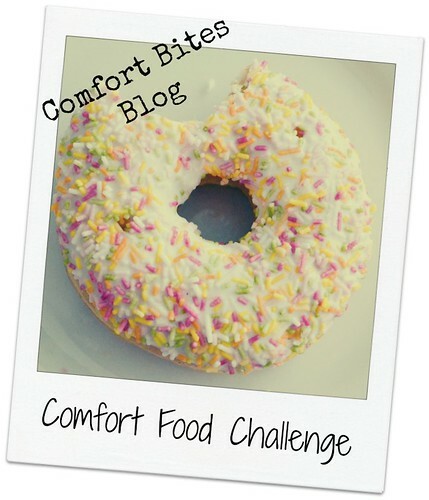 Then share it with us, in this month's Comfort Food Challenge. Curries, soups, cheesy bakes, stir-fries, veggie burgers, Glamorgan-style sausages - I want to hear them all. Have a think about your childhood - was there a dish that you always enjoyed then and that still reminds you of a loved one today? Imagine it's cold, foggy and raining outside. You've spent all day at work. What vegetarian dish would you eat while you snuggled up on the sofa? Dishes for different diets (AIP, Paleo, Gluten-free, Vegan) are all welcome here, just make sure it would be suitable for vegetarians. Please blog a vegetarian recipe, that is comforting to you, and email me with the link to the post, your name, and an image that I can use in the roundup, where I'll also link back to you. Your blog post must link back to this page and include the event badge (above). All entries must be received by 26th February 2014. You can re-blog an old recipe if you like, but please ensure that you include the badge and links as above in your new post, and mention the challenge in the text. I can't wait to see what you come up with - let's help inspire each other with some real, home-cooked comfort food. I'll be posting my entry soon. Remember, when you post, do share it on Twitter by tweeting me @joromerofood with #comfortfoodchallenge. I'll retweet any that I see. You can also share it on the blog's Facebook page, too.